Noni is a fruit high in antioxidants, and has been shown to contain over 100 neutraceuticals that work sunergistically with the body to aid a person's health. Noni has been scientifically researched for a number of years and found to benefit the bodies Immune system, Circulatory system, Digestive system, Skin and hair. 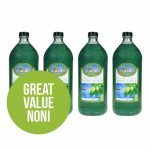 Tahitian Gold, 100% pure organic, IFOAM accredited, noni juice contains nothing more than what the Polynesian protectors of this amazing fruit intended – pure, pressed noni fruit. The prized secret to good health for over 2000 years. #1 Health Juice – Nature’s Gift Towards Good Health! Grown in ancient volcanic soils… In the most pristine environment on Earth… Traditionally harvested using techniques passed down through generations, yet processed using clinical modern science to enhance potency, delivering to you the ultimate ancient miracle for modern times! 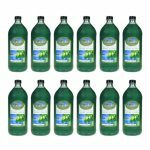 Tahitian Gold’s quality standards exceeds all others because; it exceeds IFOAM’s incredibly high standards (International Federation of Organic Agriculture Movements). When a product’s harvesting, processing and packaging systems have achieved IFOAM accreditation, it shows that the product’s quality is higher than all others. No other organic accreditation body around the world comes close to IFOAM’S stringent quality guidelines. 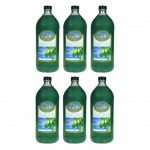 This means that when you see the IFOAM accreditation logo on the label, you as a consumer can feel completely safe with the knowledge, that this product – is as nature intended it to be; a premium quality Tahitian noni juice delivering outstanding results. 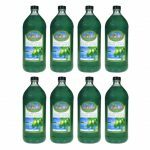 Tahitian Gold’s noni juice is truly in a class of its own, and is fast becoming acknowledged as setting a new benchmark for high quality noni juice world wide. 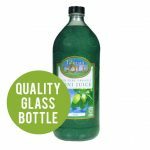 Tahitian Gold pure organic noni juice is available in bulk supply or 946m1 labelled bottles. Noni is a fruit high in antioxidants, and has been shown to contain over 100 neutraceuticals that work sunergistically with the body to aid a person's health. Noni has been scientifically researched for a number of years and found to benefit the bodies Immune system, Circulatory system, Digestive system, Skin and hair. 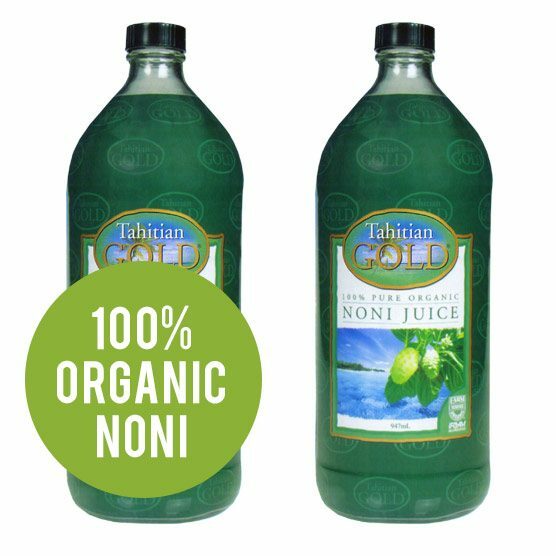 Tahitian Gold, 100% pure organic, IFOAM accredited, noni juice contains nothing more than what the Polynesian protectors of this amazing fruit intended - pure, pressed noni fruit. The prized secret to good health for over 2000 years. Please see our Terms & Conditions and Delivery & Refund Policy. We guarantee a 100% refund for all orders should you not be completely satisfied with them. Reasons for legitimate returns under our 100% returns guarantee include, but are not limited too; If the product is defective. If it was not delivered within 5 working days. If you don’t like the product for any reason (including taste, quality, size or similar). If the product is not effective, or mentioned as described. * All testimonials are given in good faith, but do not guarantee results. © Tahitian Gold Noni Juice. All rights reserved. Please see our Refunds & Returns policy.